There’s a wonderful quote attributed to the late Everett Dirksen, an Illinois Republican and former Senate minority leader in the 1960s. That quote came back to me as I started connecting the dots on Las Vegas’ infrastructure wish list. We are talking about real money here. There’s a billion for a world-class football and events stadium. There’s a billion for some sort of mass transit upgrade that reaches the airport. There’s a few hundred million for a soccer stadium. There’s a few hundred million for upgrades at UNLV, including more student housing and more parking garages. Metro could use a few hundred million for more officers and more technology. They’re all worthy projects but coming off the largest tax hike in the state’s history, Nevada’s always frugal taxpayers are tapped out. So what’s a world-class city known for thinking outside the box going to do? We could make this shopping list a generational challenge akin to putting a man on the moon. Or we could think really big and get somebody else to pay for all this. Yes, I’m seeing a great case for Las Vegas hosting the Olympics. A town accustomed to hosting hundreds of thousands of tourists isn’t likely to have Boston’s aversion to crowds. Los Angeles has that “been there, done that” vibe for the U.S. Olympic Committee, which should embrace a fresh face. And with Las Vegas’ reputation as a great host for big events, is there any doubt the International Olympic Committee will jump at the chance? Yes, we’d need to build some things but none of it is beyond the normal needs of an Olympic host city and the list bears a striking similarity to Las Vegas’ wish list. We’d have to build a stadium to host the opening and closing ceremonies and the track and field competition. Check. That’s on our list. We need lots of first-class accommodations and restaurants and a high-volume airport. All in place at no extra cost. So are basketball, volleyball and golf venues. We’d need to have a marketing team that can shape a positive global image and develop creative ads that get noticed. Done and done. We’d need to build an athletes’ village that later could become the student housing UNLV covets. We’d need a better way to move people from the airport to the hotels and to the venues. That’s also on our shopping list. We’d need some fields for soccer. The new stadiums can host the big games. We can hold some of the preliminary contests at Cashman Field and Boyd Stadium. And we can help build a consensus for the bid by placing some of the preliminary matches in Reno. The only major items that aren’t already on the shopping list are a few hundred million dollars for swimming and tennis venues. When you add it all up, we’re probably talking $5 billion to $6 billion. That’s real money by any measure. Hosting the quadrennial event would allow us to tap into the rich vein of global television revenue. Do those figures match? It’s hard to tell but even if we’re a billion short, we’re way ahead of where we are today, we’ll have created lots of jobs and all that infrastructure will continue to pay us back for decades to come. The key component to the argument is these infrastructure improvements aren’t one-and-done projects. Each — even the natatorium and tennis complex — can be used in the tourism machine that is Las Vegas. 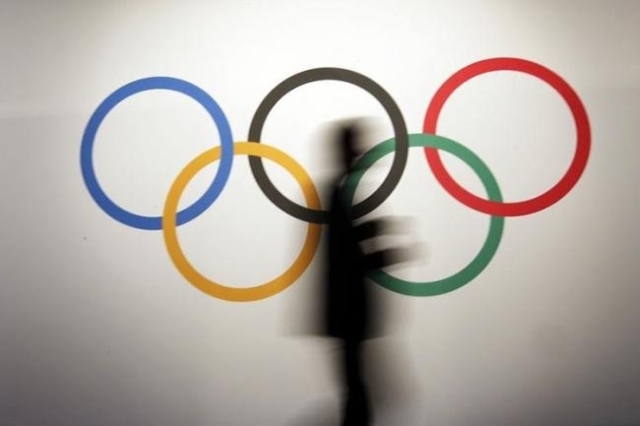 Peter Ueberroth in Los Angeles and Mitt Romney in Salt Lake City proved that Olympics don’t have to be the financial sinkhole that we’ve seen in places such as Athens, Greece, and Sochi, Russia and likely Rio de Janeiro in 2016. The world isn’t going to be treated to photos of weeds growing in unused venues a few years after the games. We’ll use this stuff and we’ll turn a profit doing so. The worst thing detractors can say is it’s too hot here in the summer. And, of course, they’re right. So we’d likely have to schedule the indoor events during the day and hold the outdoor events at night. That hardly seems a major irritant for a global audience that spans all time zones and a domestic audience that’s grown accustomed to time-shifted content. Time may be too short for us to mount a serious bid for the 2024 games, but 2028 seems within our reach. We could be starting to move dirt by the early 2020s and that’s a whole lot faster than any timeline advanced for any one of the major items, much less the entire wish list. We’re talking really money here and tapping into the Olympic revenue stream seems a sharp play. Besides, it would be fun.